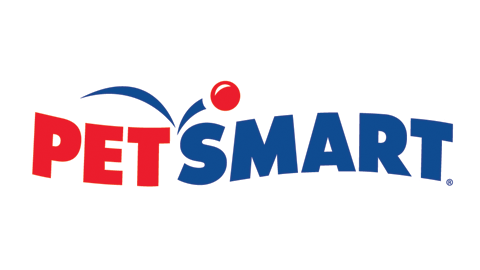 PetSmart Inc.  is the largest specialty pet retailer of services and solutions for the lifetime of needs of pets, with over 1600+ locations in the United States, Canada, and Puerto Rico. At PetSmart, we love pets, and we believe pets make us better people. Every day with every connection, PetSmart’s passionate associates help bring pet parents closer to their pets so they can live more fulfilled lives. This vision impacts everything we do for our customers, the way we support our associates, and how we give back to our communities. We carry approximately 10,000 products for dogs, cats, small pets, reptiles, birds and fish. Offers companion pets, such as hamsters, gerbils, guinea pigs, fish, birds, and reptiles. Current services offered include a grooming salon, pet training classes, and designated space provided to local animal welfare partners for the adoption of dogs and cats. Our portfolio of digital resources for pet parents – including Chewy.com, PetFoodDirect.com, Pet360.com, OnlyNaturalPet.com, petMD.com – offers the most comprehensive online pet supplies and pet care information in the U.S.